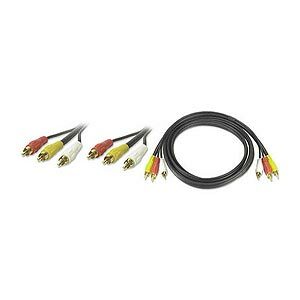 Use our high-grade video and stereo audio patch cable to connect VCRs, satellite receivers, and other video equipment. Includes one composite video (yellow) channel and 2 audio channels. Male RCA connectors at both ends.